All of the products on this page are available from the Store. Download is instant. Just play and receive immediate balancing and support. Designed for keeping the Aura and Energy Fields supported and clear, and to assist in any Protection protocol. Times range from 7 to 16 minutes, all at the same price of just $5.00 each. All of the following meditations assist in balancing the Energy Fields and act as overall balancers for the Chakras. 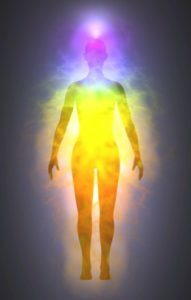 Lighten up the Aura – Free one’s Energy Fields. Download and Use immediately – Feel better straight away! This guided meditation assists the release and clearing of any absorbed or built up energies that may impact on one’s energy fields. Clears impurities and toxins on an energetic and cellular level. Reduces wear and tear on the Auric bodies, helps to release the ‘weight of the World’ and the energies of others that may have become connected or associated with one’s own energy systems. Excellent for the Empathic, the Sensitive, the Healer-Psychic, the Spiritually open. Anyone working with other people in difficult situations will appreciate this easy clearing process. Excellent for Therapists, Practitioners, Psychic Readers, and anyone who has been involved with or working in toxic energetic situations. Really good as a Maintenance exercise for one’s energy systems. Healers will love this meditation! Also known as the ‘Clear-Away’ or ‘Clearing’ Meditation. Energy Secrets Excerpt – a Protocol Guide to assist clearing and Close-Down after being energetically open or working energetically. 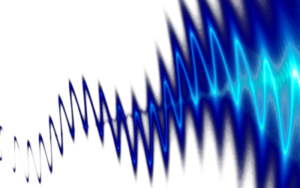 We often forget to reset our energy fields and systems after spiritual or energetic work, or after being in an intimate space where energetic cross-referencing can occur. This is a complete protocol taken from a successful training series based on Spiritual Protection and Psychic Self-Defence. It honors the basics of energetic Ethics and Energy Management. You are guided through a series of statements and affirmations to address a variety of common energetic issues an Empathic, Sensitive or Spiritual-Psychic can experience on a daily basis. Students and Clients can use this for an end of day clearing process. Energy Healers, Kinesiologists, Counsellors, Masseurs and other Therapists can use this for disconnection Protocols at the end of stressful sessions or at the end of their working day. The Protocol can be used at any time, even lying in bed at night to ensure that no other energies have become confused or associated with one’s own – thus providing one to sleep in one’s ‘Own Space’. Fantastic for Computer people, and those working creatively, in fact for anyone who does a lot of thinking and mind work. Also a handy preparation protocol for before working with clients to avoid cross-contamination to them from our own personal issues. This is a Guided Meditation based on Sacred Geometry. This Diamond Alignment and Clearing Meditation is a Higher Vibration Protection technique from the Energy Protection and Management (HygienEthics) workshop series. The meditation allows one to rebuild one’s energy reserves and to boost one’s own energetic resources. It is very effective as a clearing process and also as a strengthening preparation. Useful for before and after visiting energetically toxic situations such as busy malls, stressful work events, difficult people and places. This meditation is a great Self Help Technique for energetic support and acts as an excellent Psychic Protection and Auric Alignment technique. It is also great for sealing the aura and ensuring a correct energy field and energetic system reset after session work for both client and practitioner. Great for sealing energy systems after session work, for both client and practitioner. Teach it to your clients as a speedy Self Help Technique for energy support. Use this process to re-align at any time or to rescue oneself in difficult situations. When you don’t have time for the Psychic Toner Exercise, this is a great technique. Core Toner for All energetic interactions. Strengthen and aids the new evolved Chakras. This guided meditation strengthens one’s energetic Core and helps to build strong energy fields. It is THE essential Guided Meditation for Sensitives, Psychics and Empaths. It rebuilds the central Core and strengthens all of the energy bodies quickly. Provides extra Auric strength in these current times, and helps to restabilise all energy systems. The vital Core is energised, and feeds into a strong protective shield. Energy reserves are re-established, nourished and boosted. A great exercise to have in one’s personal psychic self-defence tool box. Previously called the Psychic Body Toner Meditation. Use at any time, day or night, before work and after…a MUST for energy workers and Sensitives. Highly recommended for the exhausted, depleted and depressed. Provides positive energy boost and helps seal the energy fields. This is also a good basic preparation exercise to assist with the new Evolved Sensory Psychic Chakras and Antennae, providing foundational development and support.